The Automotive Development Kit is Toposens latest 3D ultrasound sensor unit that enables autonomous vehicles to "see with sound" in 3D. While existing sensor technologies mostly focus on covering far distances, the immediate environment around a car (0 – 5 m) is often left out of the discussion. That is where the Automotive Dev Kit comes into play. The Automotive DevKit can be mounted onto an autonomous vehicle, where it will map its environment, detecting both still and moving objects. Features such as improved collision avoidance (reverse AEB) and fully automated parking can be realized. Further the sensors can be applied in the car interior, to determine the number and position of passengers present. The DevKit is targeted towards automotive companies, who want to prototype and implement the 3D ultrasound sensor technology on their own. It consists of four 3D ultrasound sensors, a control unit to aggregate the data stream and a graphical user interface. Sophisticated algorithms that run on a chip directly on the sensor system itself enable each sensor to work independently while also providing a high energy efficiency. This unique combination of standard hardware and proprietary software create a 3D sensor that is perfectly suited to the application in the autonomous vehicles space. The sensors used in the Automotive DevKit are the next-generation Toposens TS BRAVO. Even though they are only the size of a coin, each sensor represents a full 3D sensing unit, with the processing done directly in the system itself. Each TS BRAVO has a range of approx. 5 m and an opening angle of up to 180°. The ADK is therefore perfectly suited for covering the ultra near-field around a vehicle, i.e. 0 – 500 cm. 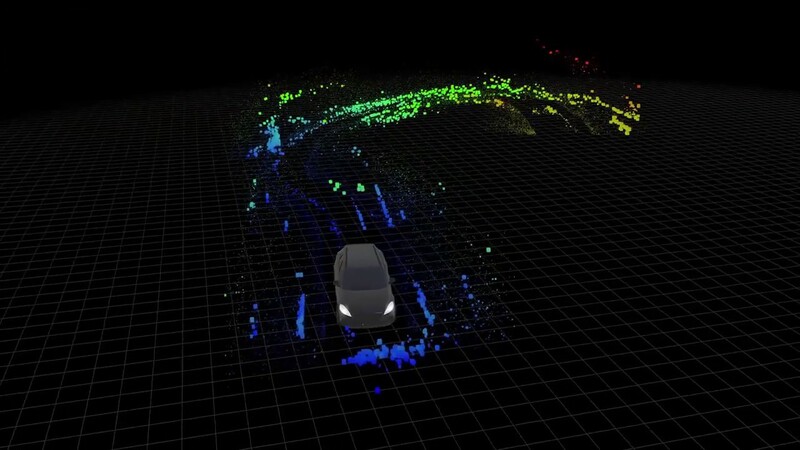 Toposens sensors provide reliable, rich and three-dimensional data (point cloud) for the close-range environment around the vehicle. The sensors are therefore well suited for applications in the automotive field and are able to cover areas, that conventional radar and camera technologies are struggling with.